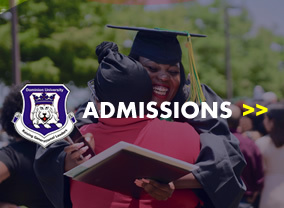 Dominion University does not have any agent or representative to process the admission. The use of such agent is at candidates’ own risk and they should desist from using third party in processing their applications. Does not outsource its admission exercise; make warranty, express or implied, regarding the accuracy, correctness, completeness resulting from the use of third party for the admission application process. Does not assume legal liability for the use of any such third party, money paid to such individual or its acts or its omissions committed as a result of the use of the third party.